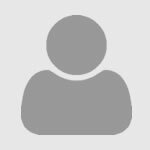 Administrative law encompasses rules, regulations, and administrative decisions from the executive, executive agencies, and independent regulatory agencies. This guide is designed for law students researching administrative law at both the federal and state levels. This book offers a concise, knowledgeable guide to the laws governing administrative agencies. In straightforward, readable prose, the authors not only summarize the dominant statutes and case law in the area, but also discuss informal administrative processes and the background realities of the regulatory state. Students can use the book as a complement to any major casebook, and practitioners will also find it an excellent brief introduction to this often confusing subject. 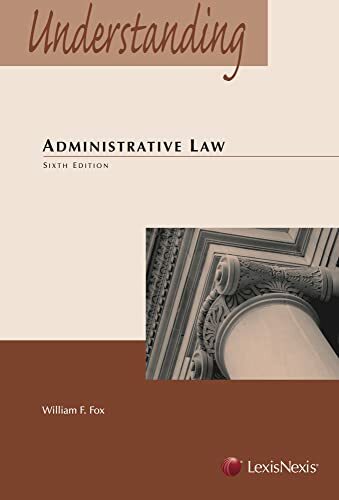 This Understanding treatise is designed to help the reader grasp the fundamental concepts of administrative law. Understanding Administrative Law concentrates on the process of administrative decision making but also deals with the substantive law of agencies when appropriate. As students progress through the course and later enter practice, they will find that substance and procedure become more and more intertwined and, in many instances, become almost inextricable. An awareness that there is no bright line between substance and procedure, particularly in the context of an administrative agency, is especially helpful to a thorough understanding of the subject. A good deal of the material in this book consists of recommendations and processes to identify administrative problems and mechanisms for organizing a reader's thinking when the problem is identified. Understanding Administrative Law highlights the manner in which a client's problem moves through the typical agency and the manner in which a lawyer copes with the various problems and issues encountered in representing clients before administrative agencies. In addition, this book contains a significant amount of material on trends in administrative law such as deregulation and regulatory reform. The Fifth Edition includes comprehensive references to recent cases and law review articles for readers who wish additional depth in any of the topics covered. Emanuel CrunchTime provides quick, concise information for students. Practice makes perfect! Friedman's Practice Series helps you develop the skills for spotting issues and preparing A+ answers for your next exam. Real laws school exams test your knowledge of the key concepts and rules with a collection of essay and multiple-choice questions. Set up to mirror actual exams, the series features long essay questions as well as some that are relatively short and medium-length, giving you great practice in the length and variation of questions on the final. Friedman's is one of the only series to fully emulate complete essay examinations - they are as close to actual exam-questions that you can find. And as Friedman's texts are compiled by professors who wrote the exams, you get sound advice as well as keen insight on what instructors look for in grading your answers. Friedman's Practice Series titles test your knowledge with real law school exams. Test your knowledge of key concepts and rules with comprehensive essay and multiple-choice questions. Practice questions of various length prepare you for any exam. Experience actual exams! Get sound advice from the professors who wrote the exams. Find insight into what professors look for when grading. CrunchTime provides the right information, in the right format, at the right time. If you learn best through application flow charts, get your CrunchTime early in the semester and use it as a visual aid throughout your course.Each title offers capsule summaries of major points of law and critical issues, exam tips for identifying common traps and pitfalls, sample exam and essay questions with model answers, and recommended approaches for crafting essays that will get winning grades!